If this doesn’t tell you it should have been a red-card, what will?! Harry Maguire dragged back Sadio Mane on purpose last night, with the Senegalese about to run through on goal in the first-half. But despite the chances of anyone catching our no.10 less than zero, Martin Atkinson decided to book the England centre-back. Maguire then went and scored the game’s second goal at the end of the 45 minutes, which rubbed salt in our wound. 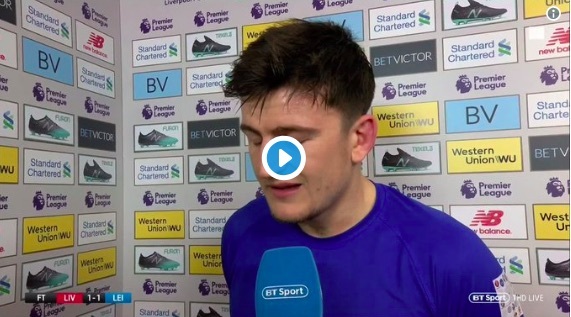 Below, you can listen to Maguire discuss the incident on BT Sport last night. He can’t even look at the camera when he squirms out that he ‘thought it was the right decision,’ because he ‘didn’t really mean to bring him down’. Well, you did – and that doesn’t matter anyway – by the laws of the game!